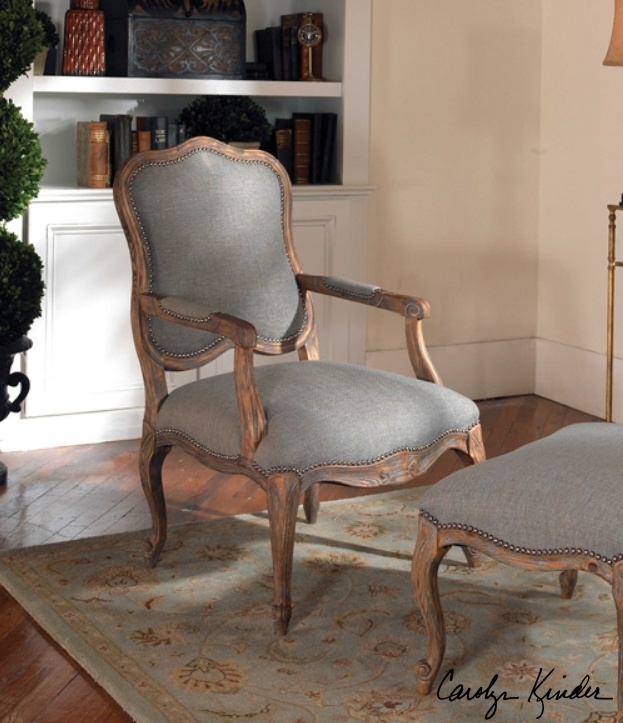 The Willa Armchair features a pine and white mahogany frame with reinforced joinery. 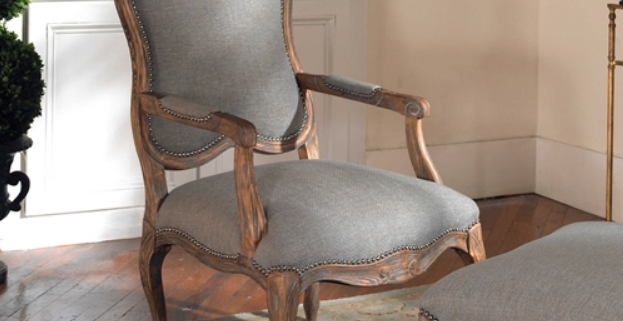 Designed by Carolyn Kinder International, this elegant, classic chair is hand carved and hand finished in an ash grey wash, over natural wood grain. The seat, back and arm rest accents are woven polyester in sea grey and tan with individually hammered nail accents. The seat height is 20″. Available to trade professionals at Uttermost.com. For retail purchase Google search term “Carolyn Kinder Willa Armchair”.